Malta is an independent country in the Mediterranean Sea. It consists of the islands of Malta, Gozo, Kemmuna, and two uninhabited islets. Deep channels separate the islands, the largest of which is the island of Malta. 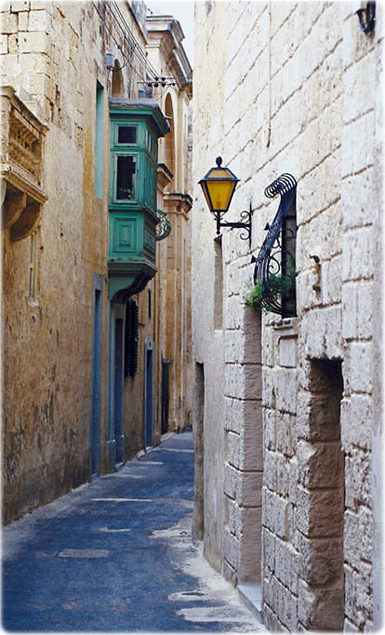 The capital city and port is Valletta, on Malta. The Maltese islands are the rocky peaks of limestone mountains that rise from the sea south of Sicily. Sandy beaches break the rocky coastlines in some places. Washed by warm, clear waters, the islands are renowned for excellent diving. Summers are warm and dry, thanks in part to the hot sirocco winds that blow in from the Sahara to the south. Rainfall and fresh water are scarce, forcing residents to rely on desalinization plants for a stable water supply. Malta was home to an ancient civilization. Prehistoric megalithic monuments dot the countryside. These include extensive stone temple complexes that predate Stonehenge and the pyramids of Egypt by many centuries. Much of Malta’s medieval architecture, from Norman cathedrals to baroque and Renaissance palaces, remains well-preserved. Narrow cobblestone streets wind through ancient fortified cities. In summer tourists flock to Malta to enjoy its balmy weather, picturesque cities and countryside, and archeological riches. Located in the relatively narrow straits that separate Sicily and the coast of North Africa, Malta is of great strategic importance, and the islands have changed hands many times throughout recorded history. The United Kingdom gained control of Malta in the early 19th century. The Maltese people maintained a distinctive national character and independent spirit, however, and in 1964 Malta became an independent nation within the Commonwealth of Nations.